A note to the Tennessee legislature when you think about immigration in 2011: they are coming for you. They will demand that you let a Kansan write Tennessee's laws. They will demand that you turn your committee hearings over to out-of-state experts, and not let anyone else testify who falls outside their narrow ideological spectrum. They and their allies will offer only non-answers or stomach-turning defenses if you drill down to their support of sterilization of the poor, or their anti-Catholicism. They will mobilize advertising armies against you if you don't obey their every command. And they will take your money - our money - more than $1 million in the first year alone - even if you give in to them. Piles of our hard-earned cash, in our budget-strained state, will go straight into the pockets of the army of lawyers hired to defend the legal challenges you know full well to expect. Remember who these people are. Remember them when you see your legislative peers "demagoging the issue -- some to raise money, some for attention." 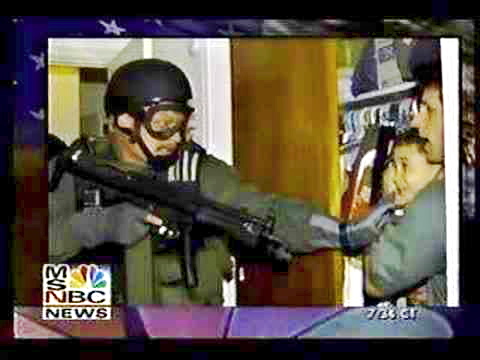 Remember them when the dialogue in your committee chamber devolves into a willingness to advance only those immigration laws that are the functional equivalent of the government's raid on the home of Elian Gonzalez - which you opposed. Ask yourself whether you are willing to have these people - who don't even live here - put a target on your back and come after you if you don't play along. Outstanding, John! Will put your article on our website.